South Africa's envoy to Ankara has highlighted the significance of Turkey’s attendance at the BRICS summit, which would also see the presence of President Recep Tayyip Erdogan. The BRICS regional bloc is made up of Brazil, Russia, India, China and South Africa, countries that share over 20 percent of the global economy and contribute around 17 percent to international trade. 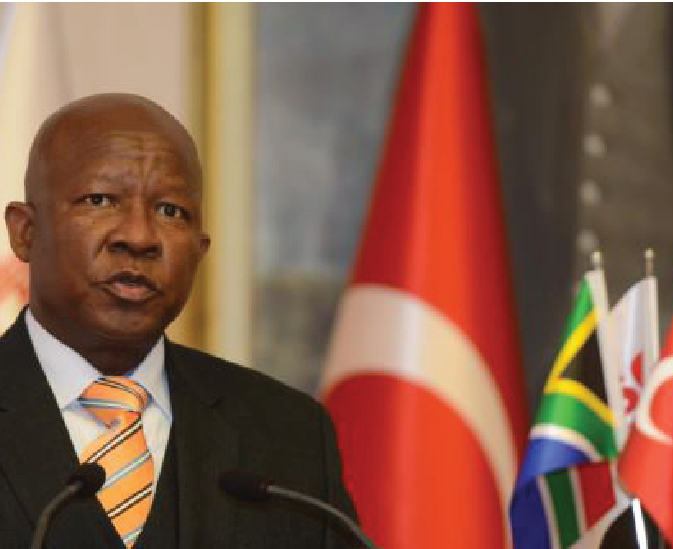 “In the event that Turkey is invited to join BRICS, it should be expected that the country will positively contribute to the aims and objectives of the formation,” Ambassador Pule I Malefane said..
Malefane drew attention to Turkey as an “emerging economy”. “Turkey is also an emerging economy with exceptional potential, therefore, it will correctly improve the profile of the formation and also stand to gain a lot from being a member. “The bloc presents a specific and systematic attempt at addressing challenges facing the world that range from country-specific problems relating to domestic poverty, inequality and unemployment to climate change and a global economic system that is biased in favor of corporate interests, particularly in finance and technology,” Malefane added. Erdogan will attend the summit to be held between Wednesday and Friday. His attendance at the summit will serve as the first high-level contact between Turkey and the BRICS bloc. On the sidelines of the summit, the Turkish president is expected to hold bilateral meetings with the leaders of all BRICS member states and other invited leaders. A meeting between Russian President Vladimir Putin and Erdogan is scheduled on Thursday on the sidelines of BRICS, according to Russian presidential aide Yury Ushakov.